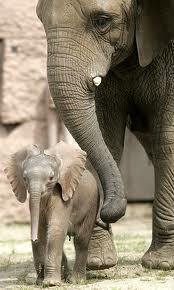 I admire the elephant mother. Did you know that she is pregnant for 22 months before giving birth? Once our family decided to pursue an international adoption, the whirlwind of paperwork began. We scrambled to assemble our portfolio and rushed it overseas. After that, there was nothing to do but sit and wait. Eventually more information was requested about us. We quickly gathered the necessary papers and sent the information. Then came more waiting. When starting the adoption process in 2006, we were informed that our wait would be 13-14 months to receive a child. It’s now 2012, and we’re still waiting. Somewhere along the way, I realized that our adoption would not complete its course in a short 14 months. When the months stretched into years, things didn’t get any easier. I had let myself get excited, anticipating the addition of a child to our family in a short amount of time. When that didn’t happen, I buried those feelings of excitement deep inside me. I focused on my vocations of wife, mother, and friend, rather than dwell on what had not been given to me. The Lord knew that it was not yet time for our family to add another member. Recently I talked with my adoption liaison about the events that will occur between our referral and travel. She was delighted to share some information and prepare me for what is to come. I was disappointed, though, to hear that the length of time between the referral and travel would be 3-4 months. Since 2006, I had been told that the wait time would be about 8 weeks. I was more than disappointed; I was disheartened. With that news, it became likely that we would not travel until early fall. Our family would have to wait at least 3 months after referral to see our child. Another low point. I don’t know how the elephant does it. She knows she’s pregnant, and for nearly two years she waits. That’s a long time, but she can’t change the situation. To deliver any sooner would be detrimental to the health of her baby. Instead, she continues to go about her tasks and takes care of herself. For two incredibly long years. I know how long waiting can be. I’ve been doing it for six years already. And yet, no good thing does God withhold from his children. Our family must wait several weeks longer. Can I change that? No. I gain nothing by complaining about the circumstances. Rather, I cling to God’s grace to me. The will of God is always good, and I know that to be true for all believers in Christ. I have been given more time to pray for this child, more opportunities to prepare our family to meet her, more days to ready our home for her. I don’t need to worry about the time frame; God has taken care of it for me. So today I identify with the elephant. Her pregnancy lasts 22 months. By the time it’s all said and done, our adoption process will be longer than an elephant’s pregnancy… three times over. But that’s okay because the Lord knows my needs, and His timing is always the best. Thanks be to God that He never forgets His children, elephant-wait and all. Posted in Adoption, Suffering on February 2, 2012 by Kristi Leckband.